If you want your RV to stand out, you may want it to look more polished or even give it a new look. Regardless of your case, rest assured that World Auto Body is the RV Body Shop in San Diego that will help you achieve the results that you are looking for. The perfect way to have a professionally painted RV is to employ an RV body shop that specializes in RVs and large trucks, who utilizes large spray booths where the whole RV or large vehicle will fit into. The paint booth basically serves as a sterilized structure that will prevent debris and dust from causing imperfections in the painting process. In case you have already tried looking at the outdated and worn-out aesthetics of your RV, it is the ideal time to give them a makeover. Whether the exterior part of your RV is fading, damaged, scratched or rusted, the specialized paint job of a qualified RV Body Shop will transform the look of your RV. When you look at the benefits of taking your RV to an RV body shop with large spray booths, the benefits will not be limited to your vehicle. It has also been proven to be more beneficial to our environment. Compared to the traditional RV paint jobs, the chemicals and fumes found in the paint will be released in the environment that can harm the environment and lead to air pollution. With a large paint booth, all corners are confined that will prevent the leakage of the chemicals into the atmosphere. This means that its impact towards our environment is minimal. Another known benefit of using the paint booth of the Motorhome Collision Repair is their reliability. The large paint booth provides the ideal environment to create a polished and perfect paint job. In case a person completes the paint job manually, there is always a possibility that they will make little mistakes no matter how careful and experienced they are, which could result in major defects in the paint job. Some mistakes may be small, but these small details will turn into major issues in a couple of years, such as paint peeling. Fortunately, paint booths are intended to deliver a professional job. The environment on the paint booth allows the painter to complete the task with extreme precision. This will prevent color variation, splotches, and other issues that you normally encounter when using the traditional method in the RV body shop. 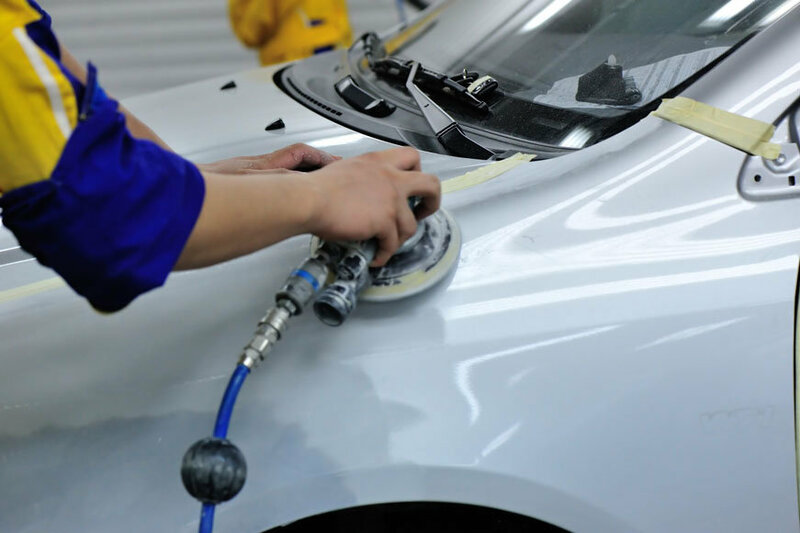 World Auto Body Shops are only using the premium quality of paints. These paints are specifically designed for automobiles and RVs which means that it has a high resistance to moisture, water, and other outdoor environments. They also have a strong resistance to corrosion. The paint can hide the dent that is caused by the collision. Finally, you have a wide range of options when you use the service of World Auto Body. You will have a full spectrum of color to use on your RV. You may even customize it by mixing the different colors. You don’t have to choose the ordinary colors that we often see on other RVs. You will be able to showcase your unique personality with the different options that you have. I thought it was interesting that larger spray booths have been proven to be more environmentally friendly. My neighbor loves to work on cars, so I think that he would be interested to learn about spray booths. I’ll definitely share this article with him. As an authorized specialist company, RV Repair Centre offers you the appropriate installation, repair and maintenance for RV Awnings in Tucson, RV Body and Paint in Chandler. I was in a car accident with my big motor home and it got dented. It makes sense that I would want to have it painted over. It’s nice that there are big paint booths for stuff like this! I love how you talked about finding an RV body shop that has a large paint booth inside it to keep paint fumes and chemicals from escaping into the atmosphere. My uncle has an RV and got into an accident with it a couple weeks back. He wants to fix it and that will include fixing the paint job on it. What you said about protecting the environment by going to a body shop with a large paint booth was very interesting to me. My car is looking old. It is scratched and definitely looks older. Thank you for letting me know that a specialized RV Body Shop can help me make my car look nice again! Having a good looking car would be awesome to have again. I will have to look more into RV repair.